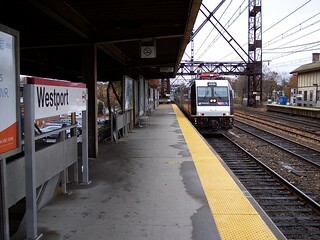 We began our trip on the special Meadowlands football train from Westport. 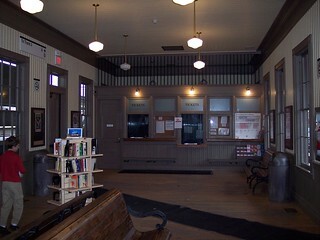 Although the ticket window was closed, the station waiting room was open when we visited. On the right our train to Secaucus arrives. 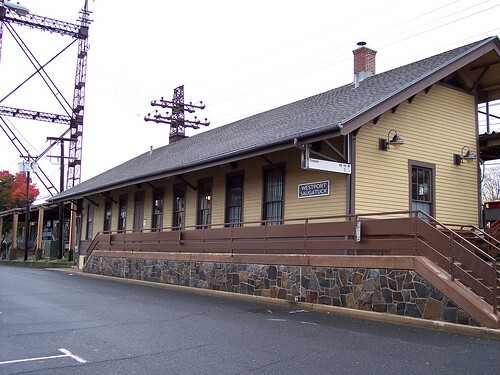 The special Meadowlands service uses NJ Transit equipment but a Metro-North crew on the New Haven Line to Penn Station, where a NJ Transit crew takes over.